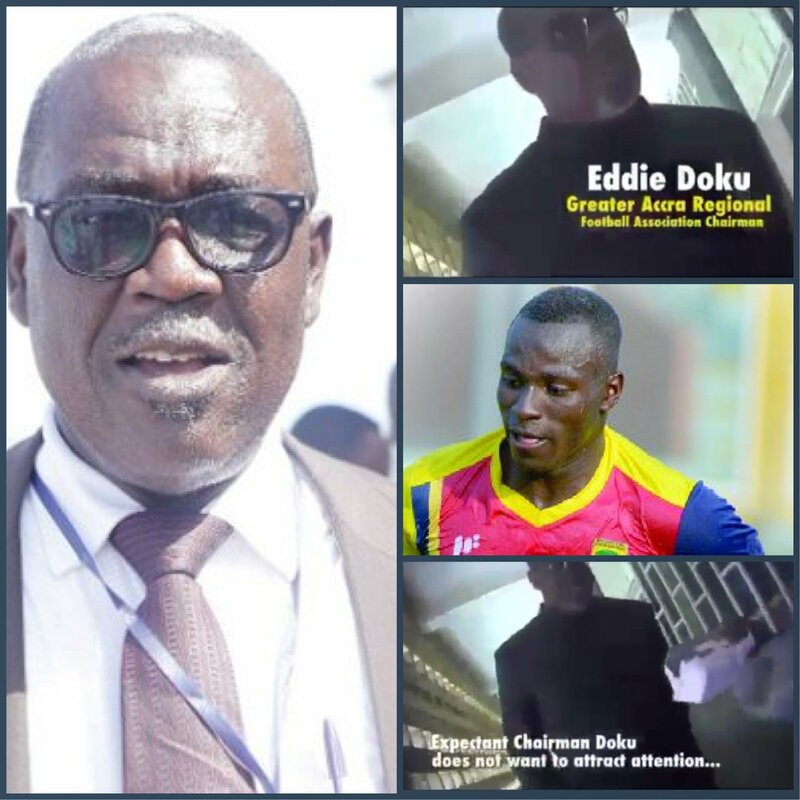 Greater Accra Regional FA boss, Eddie Doku, has been caught on tape taking a bribe to influence game time. This was for a player in the Black Stars Team B during the 2017 WAFU Zone B tournament. Mr Doku, was captured taking bribe to ensure Hearts of Oak sprinter Patrick Razak enjoys more playing time. Eddie Doku, is also the Chairman of the Black Stars B team. He was caught on camera receiving an unspecified amount of money to influence a regular match playing time in the team. In the tape, Doku is seen taking money from the undercover reporter from Tiger Eye. Doku takes the money, unwraps it and splits the cash into the left, right and back pockets of his trousers. In an odd act, he hands the wrapper, which he has now crumpled, back to the undercover reporter. This, also was at the 2017 WAFU Tournament which as staged in Ghana. The Anas Aremeyaw Anas #12 documentary was premiered yesterday at the Accra International Conference Center. The second screening is today, Thursday, June 7, 2018. There will be four sets of screenings: 3 pm, 5 pm, 8 pm and 10 pm. Meanwhile People in Kumasi, Tamale and Takoradi are also eagerly awaiting their turn to watch the video after the premiere in Accra on separate dates.